It’s officially summer. This is our last summer before our first-born starts school and summers become a time to cram in family visits and vacations. We are not the most active family, though I certainly wish we were. However, we are trying. My husband has taken up running away from Zombies and even has a couple 5Ks under his belt, while I joined a yoga studio last week and look forward to (re)starting my journey towards a stronger body and more quiet mind. As for my 3 and 5-year-old girls, they would be happy just staying inside and sampling every show Netflix so kindly recommends for them. It blows my mind that the two of them can watch the same movies and shows over and over again, but when I tell them to go play outside, they cry and whine, saying there is nothing out there to play with. Meanwhile, I look outside in our backyard and see a play house, a water table, a sand table, a hammock chair, a basketball hoop, and a soccer net. 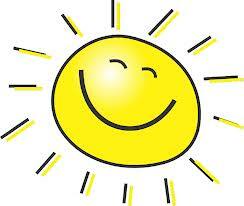 However, like I mentioned, it’s officially summer, and to my kids, that means bugs and sun. They look outside and see the play house with a scary spider web in the top left corner, a water table with a dead bee floating on top, a sand table with itty-bitty red bugs crawling through it, a hammock chair with a metal frame that is too hot to touch, a basketball hoop that the wasps like to fly through, and a soccer net that the ants like to explore. Let’s also not forget that they are terrified of flies and loathe sweating. I’ll be darned, though, if my children are wasting their summer in front of the TV, iPad, or Wii console (no offense to any of those devices intended 🙂 ). I want them to be active, to breathe in the fresh air, to soak up the suns’ rays. No, they aren’t watching Netflix on the iPad outside. 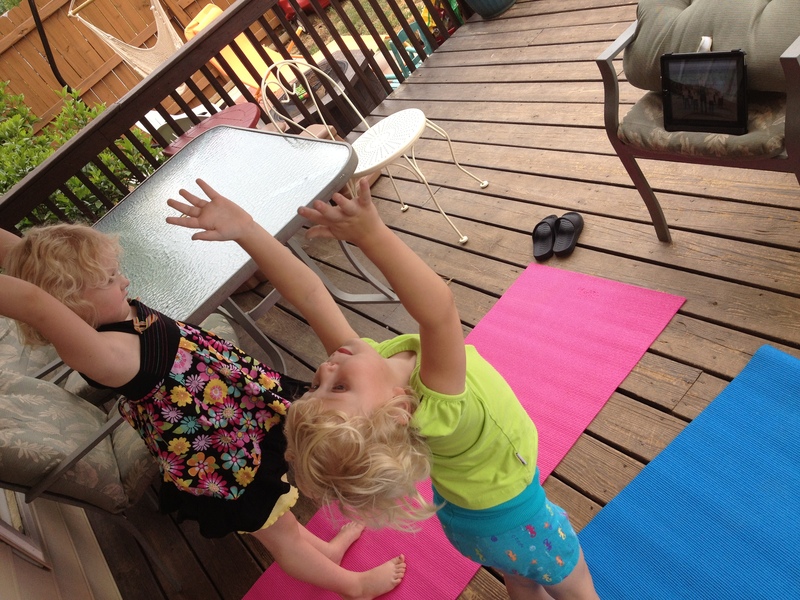 They are doing yoga! To hear them tell it, though, they think they are on the deck watching TV. They totally don’t understand that they are outside, breathing fresh air, getting exercise, helping to keep their bodies strong and healthy. They totally don’t understand that I WON! So, while they work on perfecting their sun salutations, I get to knock down the play house spider web, scoop out the floating dead bee, replace the sand in the sand table, move the hammock chair into the shade, spray the basketball net for wasps, and chemically convince the ants to move to the neighbor’s yard. Is here a yoga app that you recommend? Unfortunately, Rebekah, app developers haven’t quite jumped on the kids yoga bandwagon just yet. There are only a handful out there; check here for starts. I liked the C-Fit Yoga app because their 10-minute videos are perfect for young attention spans. 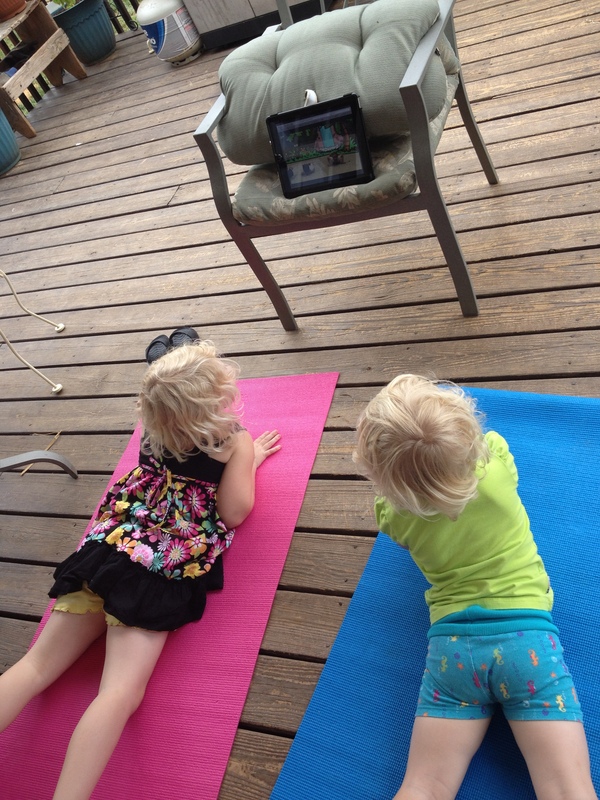 My 3 and 5-y-olds also enjoy the Cosmic Kids Yoga Adventure series on YouTube. If you find any other good ones, let us know!